WE GLOW IN THE NIGHT! On 4th of December, Centra Ashlee is turning on the UV-lights, and bringing you the glowiest, neon-est party on the island! All you will be needing is your party gear (hint! white and neon colors glow the best, not to mention the glow sticks..), your friends and your spirit! We will provide you with some artsy glow-in-the-dark face deco of your choice upon entrance. Pass the word on to your friends. 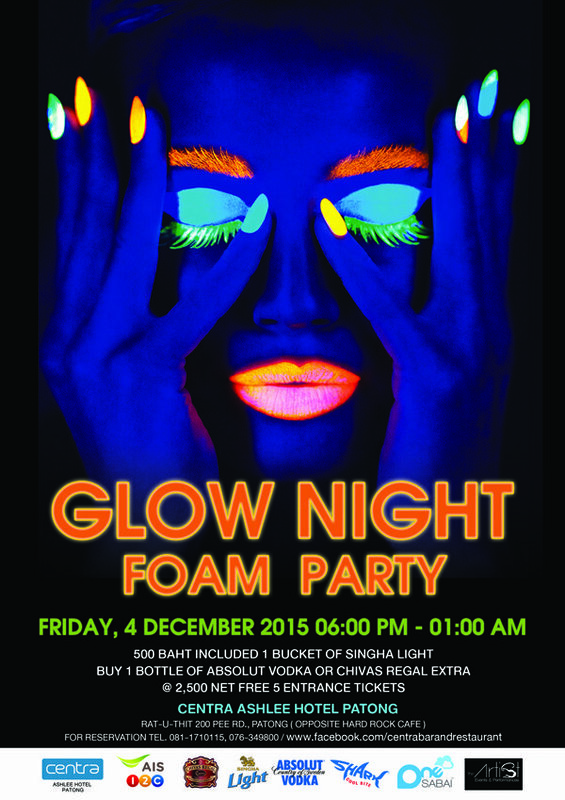 To join the Glow Foam Party.